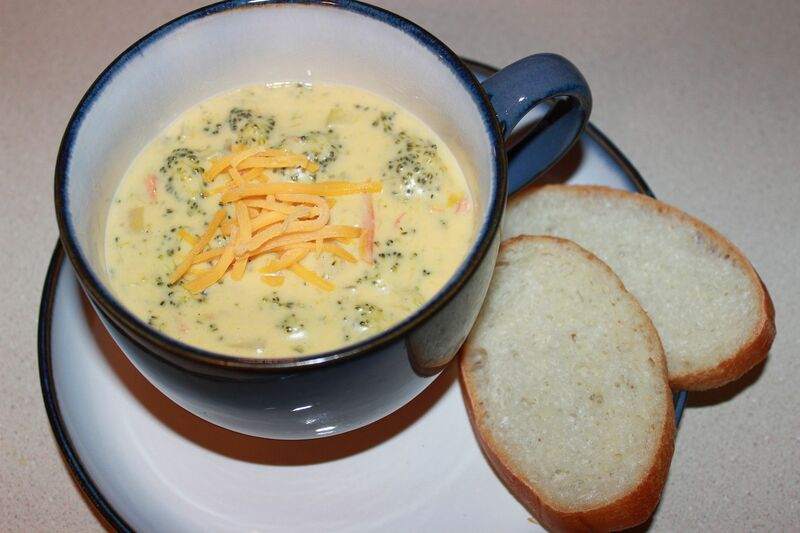 One of Tolar's favorite soups is Broccoli Cheese soup, Panera's Broccoli Cheese soup to be exact. So I went on a hunt to find a recipe that was similar and not that hard to recreate. What I ended up with was a soup that we both loved and I even thought it tasted better than Panera's. Oops! While this recipe is easy to make and there isn't a lot of prep work involved, it does require some a time commitment because you have to simmer things at different times for 20 minutes at a time. The neat freak in me loves this recipe because my downtown while things simmer allows me a chance to clean the dishes I already used. Call me crazy. 1.) In a large pot, melt the butter and then whisk together with the flour over medium heat for about 2 minutes. The mixture will get thick. 2.) Slowly (and I mean slowly) whisk in the half and half and the chicken stock. Bring to a boil and let it simmer for 20 minutes, stirring occasionally. 3.) While the pot is simmering, saute the diced onion in the cooking oil. 4.) Add the broccoli, carrots, onions and milk to the pot. Stir and let simmer for 25 minutes until the vegetables are tender, also stirring occasionally. 5.) Add nutmeg, grated cheese, salt and pepper. Stir until the cheese melts. 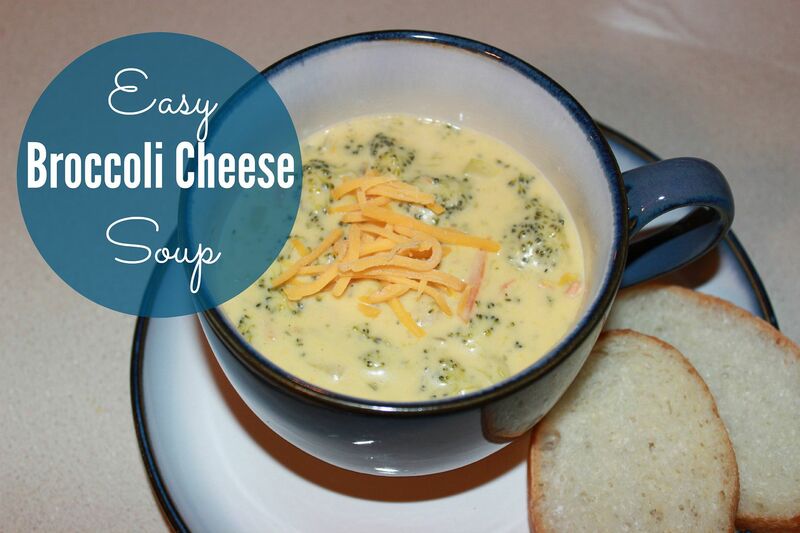 -This recipe makes 4 BIG bowls of soup. You can always double the recipe to feed more people. -If you don't like a chunky soup, you can puree half of the soup. -Feel free to add more milk if you want a soupier mixture. Yum! 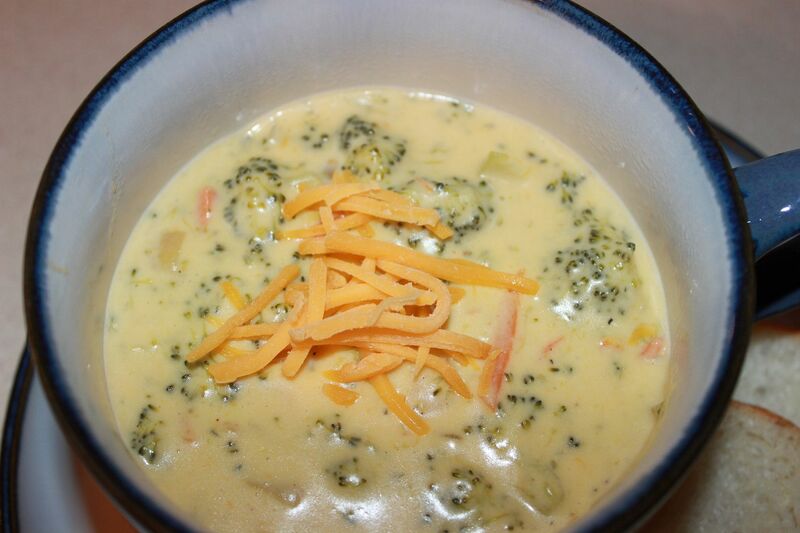 We love Broccoli Cheese soup. Panera has got it down! Love their soups. I made a "lighter" version the other day and it tasted amazing but it said to puree the soup in small batched in the blender. The consistency threw me off completely. This looks great, I am going to have to give this one a try. I hope you and the family are doing great. Wishing you all a wonderful Thanksgiving.